A palace complex built by Maharana Udai Singh II. Udaipur City Palace is one of the architectural marvels of Rajasthan, located peacefully on the banks of Lake Pichola. Udaipur's The City Palace Museum comprises the Mardana Mahal and The Zenana Mahal. Since 1969 these two palaces have been preserved and developed as The City Palace Museum, which is open to the general public. Lake Palace (formerly known as Jag Niwas) is a luxury hotel, which has 83 rooms and suites featuring white marble walls. The Lake Palace is located on the island of Jag Niwas in Lake Pichola, Udaipur, India.It has been voted as the most romantic hotel in India and in the world.The Lake Palace was built between 1743 and 1746 under the direction of the Maharana Jagat Singh II (62nd successor to the royal dynasty of Mewar) of Udaipur, Rajasthan as a winter palace. It was initially called Jagniwas or Jan Niwas after its founder. 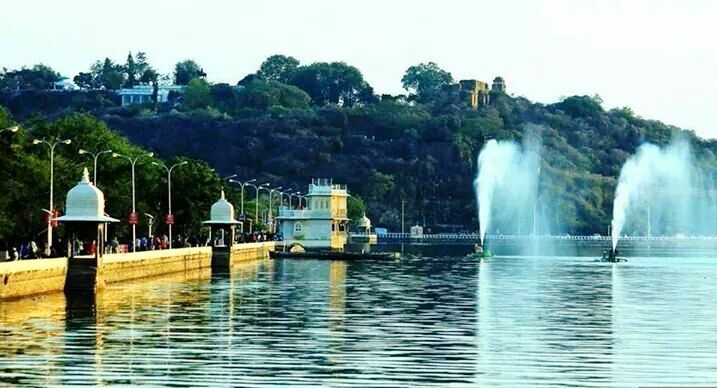 Fateh Sagar Lake is situated in the city of Udaipur in the Indian state of Rajasthan. It is an artificial lake named after Maharana Fateh Singh of Udaipur and Mewar ,constructed to the north-west of Udaipur, located to the north of Lake Pichola in the 1680s.It is one of the four lakes of the Udaipur city; the other three being : the Lake Pichola (within the Udaipur town), Udai Sagar Lake (13 km to the east of Udaipur) and Dhebar Lake or Jaisamand Lake (52 km south east of Udaipur). If you want to enjoy the above paradise places, you should choose a Taxi Service in Udaipur that is reputed, in business for a long time and enjoy great reviews from customers.